We offer West Coast-style wellness with organic skin care, massage therapies, body treatments and natural nails. From soothing body wraps to classic manicures and professional make-up application, our skilled professionals offer a wide range of services for the perfect San Diego day spa experience. A healing soak is followed by a moisturizing exfoliation and cooling marine mint masque. Nails are groomed before a relaxing massage to soothe tired limbs, finished with the perfect polish. Signature body polish exfoliates for deeper penetration of a vitamin C and black tea body wrap. Complete with a full body massage. An algae & seaweed masque works to re-mineralize skin for cellular repair & rejuvenation, improving elasticity and firming skin. An organic, full body exfoliation with citrus, fine sea salt and seaweed leave skin smooth and glowing. Complete with a massaging moisture application. For the ultimate integration of mind and body, a dry brush exfoliation and signature citrus oils enhance Swedish massage techniques to improve circulation and relieving stress. Featuring a heated herbal poultice and botanical oils, this experience will melt away tension and uplift the spirit. Customize pressure and oil during this massage for a personalized service that meets your specific needs. This massage incorporates very firm pressure and optional stretching to tight, stiff muscles. This treatment profoundly relieves stress and tension, stimulates energy, and enhances the natural flow of oxygen and blood supply to the muscles. A customized massage provides comfort and care to mother and baby in order to relieve muscle pain and tension to promote overall well-being. Available after the first trimester. Share relaxation with a close friend, family member or significant other with dual Swedish massages. Long, flowing strokes make this massage extremely soothing. Relax and unwind as the tensions of the day disappear. Experience the deep heat of mineral basalt ocean stones as they naturally replenish and comfort the body. Lavender and peppermint cool and stimulate the scalp, combined with a scalp massage. A refreshing foot scrub and massage stimulates reflexology pathways using cooling foot balm. This nourishing hair treatment restores moisture, strength and flexibility to dry or damaged hair. Tones facial muscles to naturally lift your brow. This treatment hydrates and reduces fine lines for a more youthful appearance. Enzyme and exfoliation for younger-looking skin. Complete basic nail care followed by an application of moisture, buff-shine or polish of your choice. With a focus on skincare, this manicure will renew hands. A nail care expert will file, groom and give cuticles the care they need. Finish the experience with a relaxing hand massage followed by the perfect polish. Soften even the roughest feet with this complete care pedicure. Complete nail care using the finest ingredients of the season. This treatment begins with a healing soak, followed by a moisturizing exfoliation and a cooling marine mint masque. Nails are meticulously groomed before a relaxing massage to soothe limbs, finished with the perfect polish. Using a non-acid peel, this gently resurfaces skin and encourages cellular renewal, making it safe for all skin types. This facial will restore radiance and promote healthier skin. Not for those expecting. This tailor-made facial will leave skin cleansed, exfoliated, nourished and glowing. This nourishing and stimulating facial with rose quartz stone will replenish moisture and restore natural glow. To restore radiance, this Vitamin C facial delivers nutrients to the skin to improve the signs of environmental damage from sun, pollution, and stress. This non-surgical face-lift will instantly tighten areas of concern by combining the most advanced skincare ingredients with the latest microcurrent technology from NuFace. A light exfoliation prepares skin for the ultimate hydration therapy. A nourishing lavender hydration is massaged onto the body before being loosely wrapped for warmth. Complete with a neck, scalp and foot massage. A skin detox therapy with exfoliation to help stimulate lymph movement. A scalp massage relaxes while a marine-rich clay and full body wrap intensify the detox process. Lemon body polish and warming rose body mask create a hydration boost. Complete with a rose body butter massage, this treatment helps improve elasticity, hydration, combats sun damage and stimulates collagen. Take a moment to wind down with focus on your neck, back and shoulders. The perfect refresher service, this facial offers a cleanse, exfoliation and hydration. **Does not include use of facilities. All treatments include all-day access to the resort heated-pool, relaxation room, eucalyptus steam room, & fitness center. 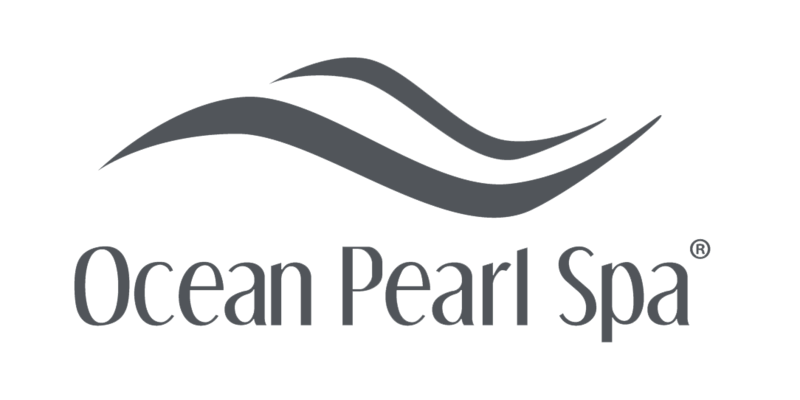 Ocean Pearl Spa Packages are available throughout the year.